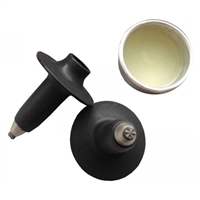 Suitable for the Exel Lock tip system which allows for easy removal and replacement of tips such as the Exel AT Tips and Exel Suspension Tips with no hot gluing required. Easy to replace and fits any Exel pole. Uses the Quick Lock System. Exel Nordic Walking pole grip: High quality Cork handle with plastic core. The ALIS (Advanced Lock In System) is the development of the QLS/loop. The strap can be quickly and easily detach from the stick. For both and on and off road use. Combining an Aero Tip with a hinged pad system in one easy to use unit. The rubber of the pad is made form a durable and hard wearing rubber that gives great grip. Exel C Cork grip plus Evolution Race strap and glue pot. Exel Sport Evolution Race Strap gives all around support during the pole thrust allowing for ultimate control on the pole. Comfortable padded strap from Exel. Fits most standard racing handles from most brands. Ideal for walking the pavement, trail or trekking through the mountains. The durable carbide tip will give you a dependable grip across all surfaces to keep you up, stable and moving forward. 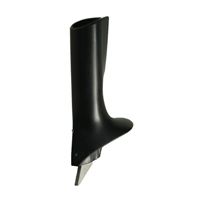 Exel Nordic Walking pole grip: High quality rubber handle with plastic core. The suspension Tip is an innovative top with integrated spring mechanism, providing a damping behaviour while allowing you to enjoy the benefits of the carbide tip. Designed for all snow conditions. 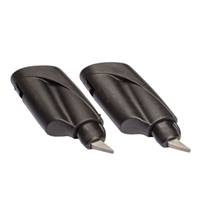 The carbide tip will also give you grip on hard surfaces when it is time to get off the snow. Ideal for walking the pavement, trail or trekking mountains. The carbide tip will give A dependable grip across all surfaces to keep you up, stable and moving forward. These pole ferrules feature a 2.5mm thick carbide tip for maximum wear resistance. Specifically designed for Nordic Walking and other aerobic activities. A larger, heavier rubber tip with a wider base area for optimum grip. Press securely onto Flex Tips for added grip and noise reduction on hard surfaces. Switch out your regular baskets for snow baskets and keep your poles from sinking too deep into the powder. This tough, shock-absorbing tip fit most trekking poles; preventing damage to the pole shaft. Protect the tips of your trekking or snow poles when traveling or lashed to your pack with these semi-rigid plastic covers. 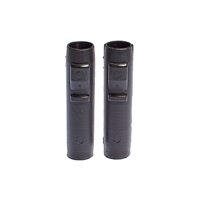 Provide added grip and reduce noise and terrain scarring reduction. Prevents poles from sinking into soft ground. Round basket for older touring poles. Holds poles together for storage. Compatible with most trekking pole styles. The aplinism basket is suitable for soft ground. Fresh snow basket suitable for very soft ground.